Following the riotous fan following and fame of the Micromax A116 Canvas HD, the Company is all set to launch more such devices. Micromax brings high end features seen on other much higher priced flagship devices, to the Indian market at an ultra-low near budget. These devices are not flawed and present smooth experience. There is now much anticipation, hype and rumors surrounding the Micromax A115 Canvas 3D, and while the technology industry is still warm with such constant incoming news, the device was listed on an online retail store Saholic which is owned by the Spice Group. There has been no official launch of the device and hence its availability here first is unexpected. However the site says the device will be coming soon, though there is no news of exactly when either on the site or Micromax. We suspect this to be a gimmick to attract more attention to the device before its launch, supported by the manufacturer and gainfully carried through by Saholic. That website adds features, now long been speculated. As per the site, the Micromax A115 Canvas 3D will have a 5 inch TFT display screen having a resolution of 480x800p which is said to have a capacity to display 3D images as well as videos. This is cutting edge technology of course and first ever seen in the Indian market, and proudly so by an indigenous manufacturer at a very low price. The device will also run the Android Jelly Bean version 4.1 Operating System. Its MediaTek MT65771 dual core processor will clock at 1GHz and will be backed by 1GB worth of RAM. The rear camera is stated to be a powerful 8 megapixel snapper while the front camera is a 2 megapixel one. There is dual LED flash support for brighter pictures. You will also get 4-giginternal storage expandable through a microSD card slot. The device will support 2G as well as 3G and will have other standard features like Wi-Fi, Bluetooth, USB, GPRS and EDGE. Also the Micromax A115 Canvas 3D is forthcoming after the great and continuing success of the Micromax A116 Canvas HD, the former device is speculated to be the descendant of the A110 Canvas 2 smartphone. Pictures have been swarming the internet which sparked off a renewed and fervent interest in the upcoming 3D capable device. There are no promising and reliable details of all the specifications and we are still left to those that are already doing the rounds. As for price, it could well be that the new Micromax A115 Canvas 3D could cost between Rs.10,000/- to Rs.14,000/- more possibly somewhere around the latter figure and will bear similar pricing to the A116 Canvas HD which at present can be owned for Rs.14,499/- online. The Micromax A116 Canvas HD has made its maker slightly infamous since the device demand has not been met with adequate supply. The device is at present India’s most demanded for phone, and Micromax could be controlling its availability keeping in mind it’s soon to be Micromax A115 Canvas 3D launch. If priced around the same, consumers will be at a loss, if they pick up the A116 HD now, when a 3D capable device is on spectrum. 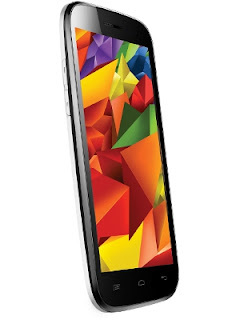 The Micromax A116 Canvas HD was so successful that the Company partnered with more retail stores including Snapdeal. It made a record breaking sale of 9000 units within 24 hours of its launch. The Micromax A116 Canvas HD has an 8 megapixel primary camera and a 2 megapixel secondary just like the new 3D A115 will have. It has memory which can be expanded to 32GB through the microSD card. The processor is a more powerful 1.2GHz quad-core processor compared to the A115 Canvas 3D. It also runs a better version of Android Jelly Bean OS being version 4.1.2. This device too has a 5 inch screen, which is an LCD Capacitive touchscreen possibly making it more intuitive than that which the A115 Canvas 3D will come with. Also this screen has a better resolution of 1280 x 720 pixels and comes with color depth of 16 M. This device has dual SIM features like the A115 Canvas 3D. 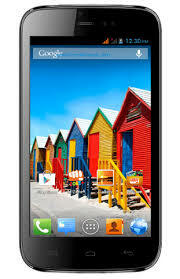 The big attraction with the Micromax A116 Canvas HD is the post sales services. Also, the phone does not lag and does justice to the Android experience. Both devices have curved edges and back and look sort of similar which enhance grip, and boost handling. The battery on the Micromax A116 Canvas HD is a 2000 mAh battery which delivers long hours, even while its screen is big and demanding of energy. The battery for the A115 Canvas 3D however is still unknown so we won’t be able to compare the two. The Author of this post is Julia. She wrote several tech posts for 91mobiles.com. . Also have a detail look on micromax a116 price in India. Her passion for upgrading her knowledge puts her to research on topics relevant to her industry. Besides, she also likes to share her findings by writing about them in her free time.